If Jon Gruden had his way, safety Derwin James would be patrolling the Raiders‘ defensive backfield instead of the Chargers’. Gruden today told reporters that he preferred to select James in the first round of this year’s draft, but Oakland had already used high picks on safeties — Karl Joseph and Obi Melifonwu — in recent years, per Eric Williams of ESPN.com (Twitter link). 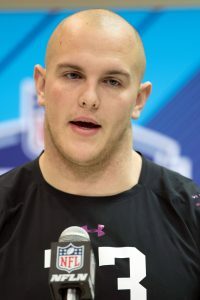 The Raiders ultimately used the 15th overall selection on UCLA offensive tackle Kolton Miller, who is now manning Derek Carr‘s blindside. James has emerged as an early Defensive Rookie of the Year candidate with his play in Los Angeles, but Gruden’s remarks can be interpreted as a subtle dig at Raiders general manager Reggie McKenzie, who reportedly hasn’t meshed with Gruden. 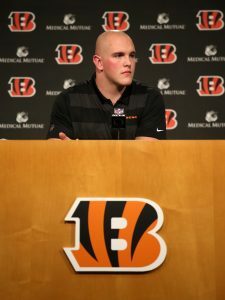 Rookie Bengals center Billy Price hasn’t suffered any setbacks since suffering a foot injury in Week 2, but he’s still expected to be in a walking boot for at least two more weeks, tweets Geoff Hobson of Bengals.com. That means Price will miss games against the Dolphins and Steelers, and possibly more if his recovery timeline is extended. Cincinnati’s bye comes in Week 9, so the Bengals could potentially hold Price out through then if they want to be cautious. With Price out, the Bengals have turned to former starting guard Trey Hopkins to fill in at the pivot. Chargers linebacker Kyzir White underwent a minor knee operation on Monday and will miss Week 5, head coach Anthony Lynn told reporters, including Williams (Twitter link). White isn’t expected to miss much time, however, and should be back “sooner rather than later,” per Lynn. A fourth-round rookie out of West Virginia, White has started three games for Los Angeles this season, racking up 12 tackles in the process. Jatavis Brown should see more snaps in White’s absence. 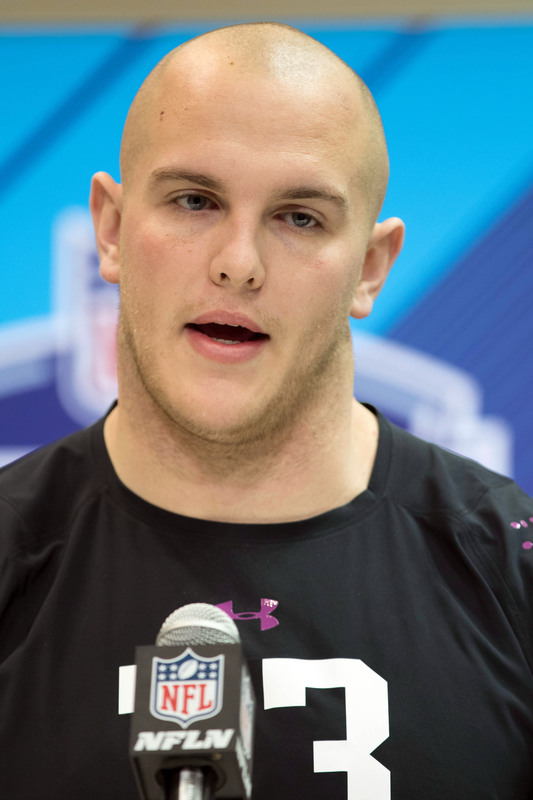 The Bengals will be without center Billy Price for a while thanks to a lower left leg injury, as Paul Dehner Jr. of the Cincinnati Enquirer writes. Price says he’ll be in a walking boot “24/7” before team doctors re-evaluate him in two weeks. The Price injury hurts (no pun intended), particularly with running back Joe Mixon also on the shelf for 2-4 weeks with a minor meniscus tear. The 2-0 Bengals will go up against the Panthers and Falcons in the next two weeks without two offensive starters, and their absence could stretch into October contests against the Dolphins and Steelers. For however long they’re out, the Bengals will be relying on running back Giovani Bernard and fill-in center Trey Hopkins to hold down the fort. Bryant is reportedly facing a yearlong suspension after another alleged violation of the NFL’s substance abuse policy, but he’s eligible to play until the league formally announces a ban. Indeed, Bryant is expected to suit up for the Raiders when they face the Broncos on Sunday. Bryant didn’t take any sort of pay cut to return to Oakland, as he’ll collect the same $1.907MM (prorated) salary he was originally due, tweets Tom Pelissero of NFL.com. Linebacker C.J. Mosley did not suffer any ligament damage in the Ravens‘ Thursday night loss to the Bengals, head coach John Harbaugh told reporters, including Jeff Zrebiec of The Athletic (Twitter link). While Mosley may miss Baltimore’s Week 3 contest against Denver, Harbaugh doesn’t think Mosley is facing a long-term absence. For what it’s worth, the Ravens announced Mosley had a bone bruise when he left last night’s game. As Jamison Hensley of ESPN.com writes, Mosley has arguably become Baltimore’s most indispensable defender, so the Ravens will be hard-pressed to replace him for any period of time. Mosley, 26, is currently playing out the final year of his contract, but he hadn’t progressed on an extension with the Ravens as of July. 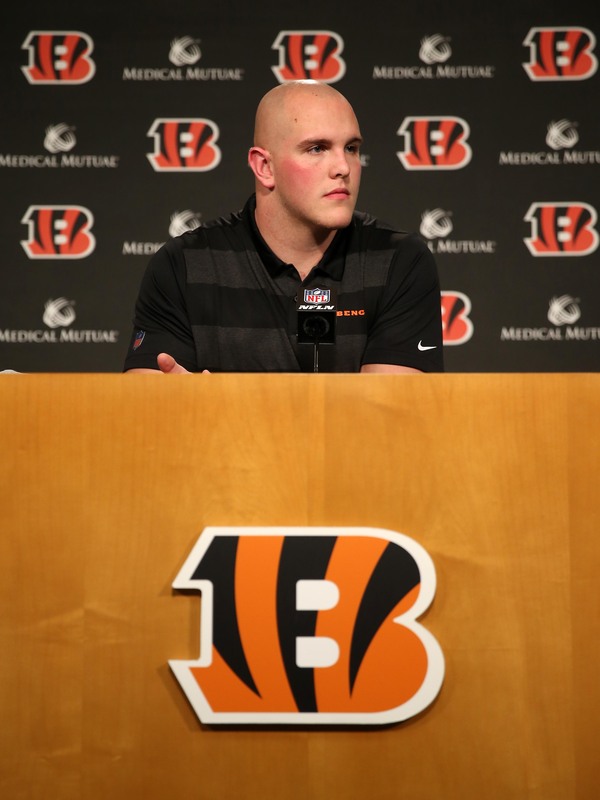 Elsewhere from Thursday night’s game, Bengals center Billy Price suffered a foot sprain, according to head coach Marvin Lewis (Twitter link via Paul Dehner Jr. of the Cincinnati Enquirer). The injury doesn’t sound all that serious, as Lewis indicated he was “surprised” Price wasn’t cleared to return to Cincinnati’s eventual victory. Price, the 21st overall selection in this year’s draft, was part of a Bengals offensive line overhaul that also included the acquisition of left tackle Cordy Glenn. If Price is forced to miss action, he’ll be replaced by reserve Trey Hopkins, who started 12 games for Cincinnati in 2017. The Bills will start first-round rookie Josh Allen at quarterback on Sunday after Nathan Peterman and the rest of Buffalo’s offense was thrashed by Baltimore in Week 1, leading Albert Breer of TheMMQB.com to examine whether deploying Allen this early in the season is the correct decision. Allen won’t be forced to face Chargers defensive end Joey Bosa, but the Los Angeles defense will certainly present a challenge for the Wyoming product. The Bengals are set to have their preferred starting center available when they convene for training camp next month. First-round pick Billy Price tweeted Monday he’s been fully cleared for work. An offseason injury defined Price’s first NFL offseason. The Ohio State standout tore a pectoral muscle while doing bench press in February, but it didn’t damage his stock much. The Bengals selected him with the No. 21 overall pick. Price was expected to be ready by the time camp began, and a report last week placed the rookie blocker as being a month ahead of schedule. Being cleared on Monday, more than five weeks from the start of Bengals camp, lines up with that updated timeline. The Bengals will shift to Price after deploying Russell Bodine as their starting center for the past 64 regular-season games. Bodine started every game as a Bengal in his four years in Cincinnati, but he’s now with the Bills battling for their starting job. Barring something unexpected, Price will join longtime Bills left tackle Cordy Glenn as new Bengals offensive line starters. Terrell Suggs appears set to go after Ray Lewis‘ mark for most years in a Ravens uniform. Should the outside linebacker make it through all 16 games this season, he’ll surpass the Hall of Fame-bound Lewis’ games-played mark of 228. Suggs sits on 213, but this being his 16th season, he’ll need to play through the 2019 slate with the franchise to match Lewis’ 17 years of Ravens service. He doesn’t see that being a problem. Suggs said in May he envisions multiple additional seasons, despite entering his age-35 campaign, and ensured he wasn’t planning to make this one his last. At least, he won’t be making any announcements about 2018 being his final season beforehand. Per Jeff Zreibec of the Baltimore Sun (Twitter link), Suggs is on a year-to-year setup at this point. But the Ravens’ all-time sack leader said “I really couldn’t picture myself doing anything else.” Suggs rated as Pro Football Focus’ No. 17 edge defender last season. Here’s the latest from the North divisions, moving to some center situations. Billy Price‘s rehab during his first NFL offseason is going well. The Bengals rookie is approximately a month ahead of schedule in his rehabilitation from a torn pectoral muscle, Geoff Hobson of Bengals.com reports. Price will remain in Cincinnati during the midsummer hiatus. He bench-pressed 315 pounds this week, although he currently needs to be supervised upon doing so at this juncture of the process. The Ohio State standout injured himself in February performing bench reps. Prior to the draft, Price was expected to be ready for training camp. So, that seems fairly easy to assume now given the timeline update. Shifting to the Vikings‘ center spot, Pat Elflein did not participate in minicamp but is expected to be ready to return by Minnesota’s training camp, Chris Tomasson of the St. Paul Pioneer Press notes. Price’s former Buckeyes teammate underwent ankle surgery in January. Lions training camp could feature an ascent at cornerback. Teez Tabor appears ready to mount a strong challenge for Detroit’s No. 2 cornerback spot, with Kyle Meinke of MLive.com predicting the 2017 second-round pick will be the favorite to win that job despite Nevin Lawson having started 31 games the past two seasons. Tabor played 190 snaps as a backup last season. The Lions also signed DeShawn Shead and have versatile Quandre Diggs entering a contract year. But Diggs, despite playing mostly corner during his three-year career, may be set to shift to safety full-time now. The Bengals have signed first-round draft pick Billy Price, according to a team announcement. Per the terms of his slot as the No. 21 overall pick, Price will earn $11.7MM over the course of his four-year deal. And, as a first-round pick, the Bengals will have the option to tack a fifth year on to his deal down the line. Price suffered a torn pectoral muscle while doing the bench press at the draft combine in February. Fortunately, he rebounded quickly from the injury and put himself squarely back into the first round conversation. The Bengals believe that he will be back to full health this summer, which should allow him to be the team’s starting center in 2018. Last year, Pro Football Focus’ collegiate arm gave Price an 83.2 overall grade for his work at Ohio State, positioning him as the fifth-best center in college football. Clearly, Price transitioned well to the new position after spending his first two years at left guard and his third year at right guard. As shown on Roster Resource, the Bengals project to start Cordy Glenn, Clint Boling, Price, Trey Hopkins, and Jake Fisher on the offensive line. The Bengals are hoping for significant improvement from last year when their O-Line was ranked near the bottom of the league by virtually every measure. As of this writing, the Bengals have just two players left to sign in their 2018 draft class in third-round picks Sam Hubbard (DE, Ohio State) and Malik Jefferson (LB, Texas). The Browns‘ No. 1 pick remains a mystery to everyone, including head coach Hue Jackson, according to Robert Klemko of The MMQB (on Twitter). He also adds that Dorsey has already made his determination, contrary to what has been leaked to the press. On Wednesday morning, it was reported that the Browns are likely to select either Wyoming quarterback Josh Allen or Oklahoma QB Baker Mayfield. Of course, that could just be a smokescreen as many still believe the Browns will take USC’s Sam Darnold. On Wednesday, the doctor for Billy Price announced that the Ohio State offensive lineman will be ready for training camp (Twitter link via Ian Rapoport of NFL.com). Now that Price is on track for this summer, it seems likely that he’ll still go within the first 32 picks. Price could be one of several interior offensive linemen to come off of the board in the bottom third of the first round. The Broncos have received calls from teams interested in what it would take to trade up to their No. 5 pick, James Palmer of NFL.com tweets. GM John Elway has said that he is open to trading, so it’s a situation to keep an eye on. Many believe the Vikings will select an offensive lineman with the No. 30 overall pick, but GM Rick Spielman says that’s not necessarily the case, as Chris Tomasson of the Pioneer Press writes. Instead, Spielman says they could draft a player from four other positions. Good news for Ohio State center Billy Price. Price tells SiriusXM that he has regained full range of motion after suffering a partially torn pectoral muscle (via PFT). Price hurt himself while doing the bench press at the combine in February. As one of the draft’s top offensive linemen, he was widely projected as a first-round pick prior to the injury. The torn pec is a definite setback, but based on the latest info, it sounds as though he could still be a top 32 pick. The belief is that Price will be ready in time for training camp, so any team drafting him will not have to worry about Price being behind the 8-ball. There are rumblings of a potential late-round run on interior offensive linemen, which could involve Price, Arkansas center/guard Frank Ragnow, Iowa center James Daniels, and Georgia guard Isaiah Wynn. The Eagles, who count tackle among their top needs but aren’t hard up for a guard or center, could score a decent haul for their pick at No. 32 if that happens.